Sleeping difficulties such as insomnia, nightmares and waking up frequently can dramatically decrease your quality of life. Prescription sleep aids frequently have undesirable side effects, causing many people to decide to just live with their insomnia. Natural remedies, however, are often effective sleeping remedies and may not have as many negative side effects as prescription drugs. Ginger root is a popular alternative remedy for sleeping difficulties and some preliminary studies indicate that it may be effective at treating some causes of insomnia. Ginger is the root of the Zingiber officinale plant, and is closely related to turmeric and cardamom. Known for its sharp, spicy flavor, it is commonly used as a seasoning. It is also a folk remedy for numerous ailments used by many different cultures. Unprocessed ginger is beige or brown, with thick stalks and finger-like extensions. Many people suffer from insomnia and nightmares caused by anxiety. A study published in 2010 in "Bioorganic and Medicinal Chemistry" claims that ginger binds to some serotonin receptors. Serotonin is a neurotransmitter that affects overall mood and anxiety levels. To alleviate anxiety, take ginger in capsule form and follow the package instructions. Many people use ginger as a remedy for insomnia when the cause is unknown. Ginger-based tea, ginger seasoning and ginger capsules are all popular remedies. Hot ginger tea may help people relax prior to sleeping. 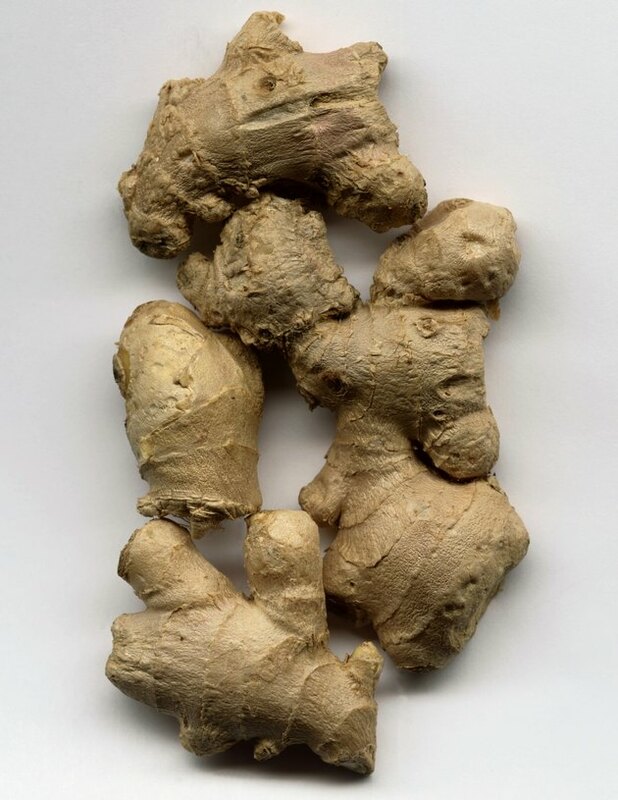 The U.S. National Library of Medicine, however, argues that ginger has not been proven to effectively treat conditions other than nausea, dizziness and morning sickness. This does not mean that it doesn't work for anyone, but its efficacy has not been scientifically validated. Ginger is generally safe, though its effectiveness in treating sleep problems varies from person to person. The U.S. National Library of Medicine cautions people taking blood thinners to avoid ginger supplements. Breastfeeding women and people with bleeding disorders, heart conditions and diabetes should also avoid taking ginger supplements.